(sorry about the double post. My SM didn’t post it right)This post is not a letter from Jamie. It is an extended reply I made to @manuchettan that he posted at https://mynameisjamie.net/2015/03/12/there-is-no-such-thing-as-justice-in-prison/. It said so much about the what I know about the research I’ve done into many areas concerning our prison injustice system. It needs to change but the government has created a monster it doesn’t know how to put down, and many unnecessary people have to pay the price for that. Prison itself, in the solitary units, have created so many mentally ill people, who were not that way when they went into solitary. They usually end up hurting themselves by cutting open veins, trying to bleed out, trying to commit suicide. They take them out of their cell, clean up all the blood from cut arteries, sew them up, put them back in the cell and double their sentence. They do it over and over. A three month sentence can turn into a year easily. 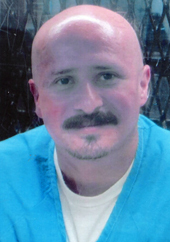 Jamie has spent about 4 years in solitary confinement, which is also called Ad Seg. Two times of two years each, not far apart, and each one was a lie from a guard. One was a guard finding a knife on his sink when they were shaking down cells. A knife the guard put there. Even if Jamie had a knife, would you leave it on the sink when you know they are shaking down cells? The second time was because a big fat ugly female guard said he blew her a Kiss, and that is a crime because you are trying to consort with a guard. He was standing lion for his medications when he was looking around and saw the guard. Period. The he gets slapped with a case. What inmate in his right mind would blow a guard a kiss? I saw this guard when I visited with him in Oct 2013. On another note, I am putting together an email to send to Jamie right now and putting in comments people have made. I have told him there are people who care. We have the ability to leave our house and talk to people. We still might not have anyone who cared how our day went, and those people become depressed and lonely and probably drink or take pills to get through their day. But Jamie knows there are people whose hearts have been touched. People who care. He is a good man. I want people to know him. People who care if he’s okay. That goes a long way in keeping his depression away. The post I wrote, https://mynameisjamie.net/2015/02/08/in-prison-who-do-you-have-to-care-about-your-day/ is very real. How would you feel if you thought there was no one who cared about you, you saw no one, talked to no one, or had communication from anyone? What if no one even cared if you alive or dead? On the outside we have people I’d like for him to answer these comments so I can add them to the comment section. There are so many people who a misconception about prison and think it is only there to lock up bad people. That is only one reason. Our government needs to keep the prisons full, (while telling the public they are try to reduce their arrests) because of the huge demand in the public sector, the American companies who bid on prison labor, they are stuck between a rock and a hard place. So there may be fewer arrest this year but the sentences will be longer and the percentage of those paroled are fewer. Once in awhile a good thing happens and people cheer, but they really don’t know what is going on. A great many prison are owned privately through companies like Corcoran and CCA – there are more. The Prison Industrial Complex.They offer to help the states with their budget problems and if they take over the prison they will have more money for roads and education BUT they have to keep the prisons 90-100% full or the government has to pay them for the empty beds. This is why the US has the highest prison population in the world 500 out of every 100,000 people, and since approximately 65% of those are black people, there are entire towns that have 50% of there town locked up – for “walking while black”. But the media portrays it as though black people do more crimes, which they don’t. Black neighborhoods are patrolled for people to arrest. Are many of those arrest legitimate? Of course. But many of them aren’t. White people can be picked up doing the very same crime, yet they don’t end up in prison because of it. If you have read any of the chapters I posted about the book InsideOut, here is the first chapter. 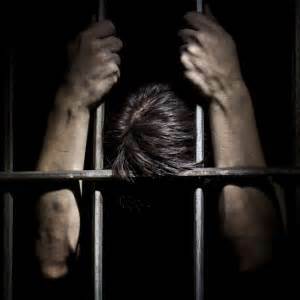 https://mynameisjamie.net/2015/01/27/insideout/ The three chapters I have posted took place while he was in solitary. When I started writing to him 8 years ago, after he had been in for a year, I knew I was taking on a responsibility. This was not going to be a short newsy letter about my life I was going to get away with writing. If he ever hears from a family member, it is usually a catch up about what is going on in the family, not a letter of caring how he was doing. Never a question of, “Is there anything you need or anything I could do to help”. Not even from his own mother. I know she loves him. I talked to her once. She’s okay with him calling me mom and is glad I’m there for him – but she isn’t there. Thank you for taking the time to read this. I know it is long. Please comment about how you feel, even if it is criticism. I want to have a discussion with those who have something to say. Please also click a yellow star. This rating matters.